This is an interesting piece. I love the details of the ark. 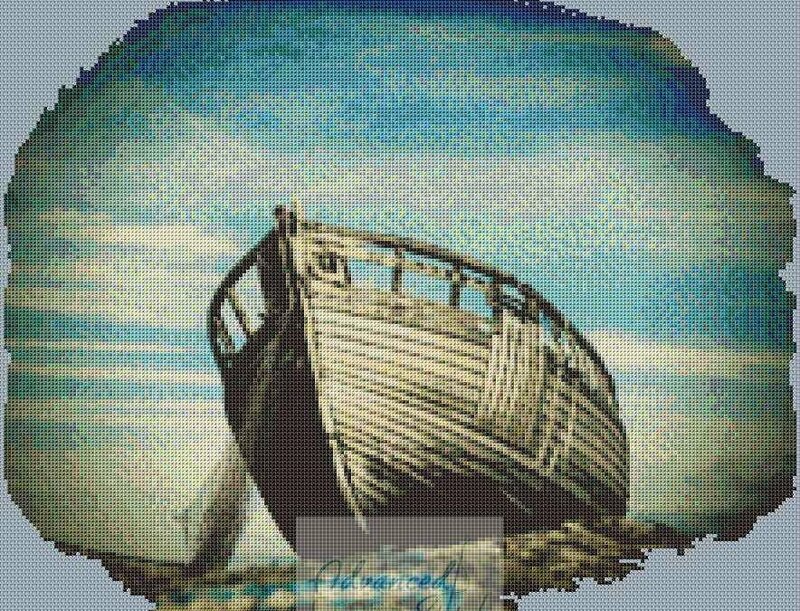 This piece is 219×189 stitches and contains only 55 colors. It is an odd shaped round piece that can be used on to show off beautiful fabrics on the edge/corners. This chart is 250×320 stitches and contains 95 colors. It’s is jam packed full of details, with the tiger, peacock, and cobra at the base. The hands of the goddess holding the birds. There is a border on this with flowers. 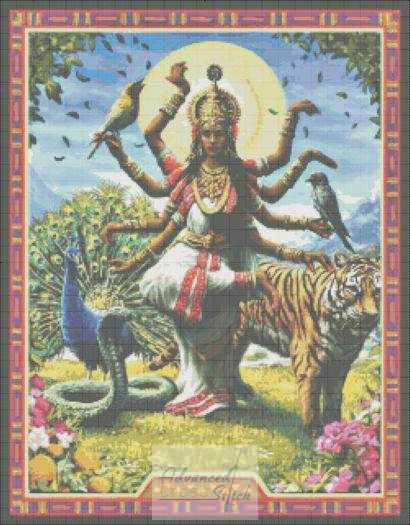 Here is Hindu Goddess. 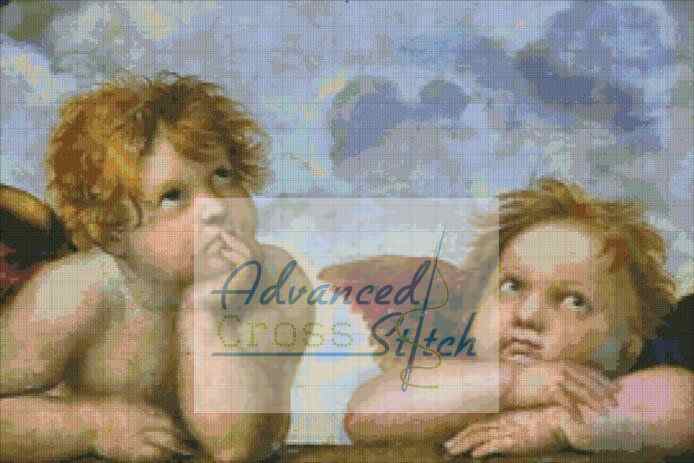 Classic artwork by Raphael, here is Angels at the Sistine Madonna from 1512. The chart is 270×180 stitches and contains only 47 colors. This should be a fun easy to stitch piece. Here is a nice simple pattern, perfect for a wedding gift. 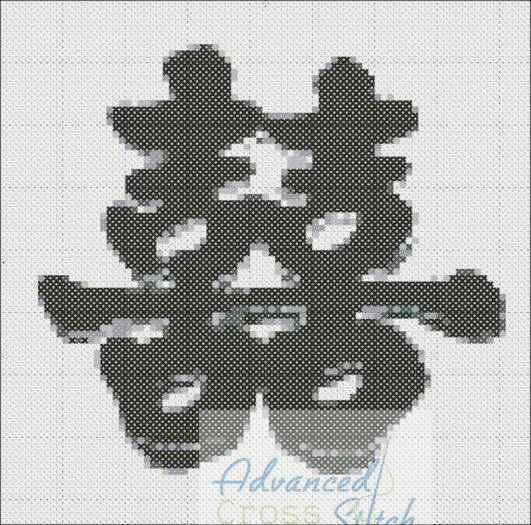 This pattern is 85×84 stitches and only contains 5 colors. That allows for a little distinction in the grey scale. Fun and easy to stitch.